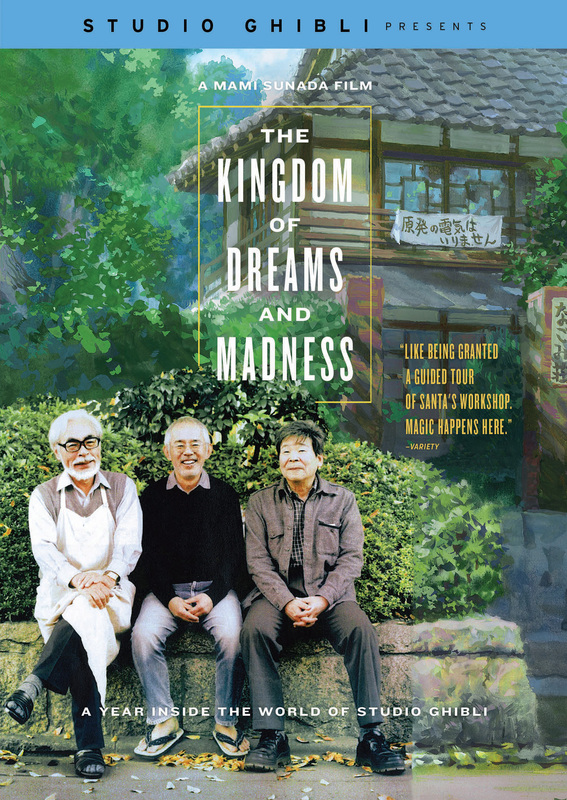 THE KINGDOM OF DREAMS AND MADNESS is a fascinating, never-before-seen look inside the quirky and wonderful world of Studio Ghibli, creators of masterpieces like Princess Mononoke, My Neighbor Totoro and the Oscar-winning Spirited Away. Granted near-unfettered access to the notoriously insular Studio Ghibli, director Mami Sunada follows the eminent director Hayao Miyazaki, producer Toshio Suzuki, and the elusive and influential “other director” Isao Takahata – for a year as the studio rushes to complete two films, Miyazaki’s The Wind Rises and Takahata’s The Tale of The Princess Kaguya. 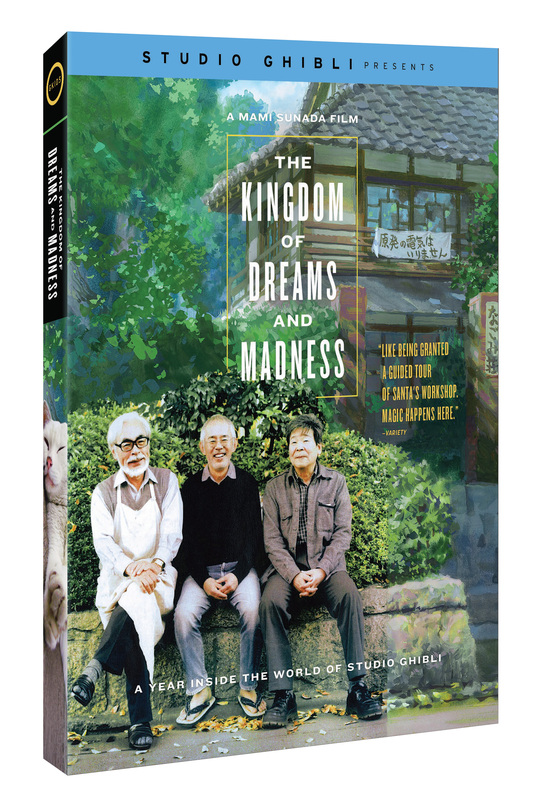 The result is a rare “fly on the wall” glimpse of the inner workings of one of the world’s most celebrated animation studios and a rare insight into the dreams, passion and singular dedication of these remarkable creators. Plus you get to meet Ushiko, the Studio Ghibli cat! © 2013 dwango. Layout Design by Hayao Miyazaki. Photo by Nicolas Guérin. Background Art by Noboru Yoshida © Studio Ghibli. Title Logo Design by goen°. Marketed and distributed in the U.S. by Cinedigm Entertainment. WARNING Federal law provides severe penalties for the unauthorized reproduction, distribution or exhibition of copyrighted motion pictures, video tapes or video discs. Criminal copyright infringement is investigated by the FBI and may constitute a felony.